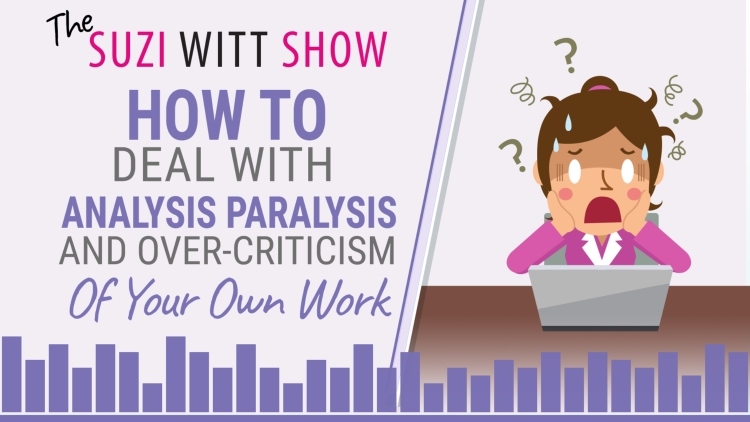 In episode 18 of the Suzi Witt Show, I am hitting a really hard topic - analysis paralysis. This is something I regularly battle against as I am a total perfectionist and have had to teach myself how to harness the perfectionism in order to get things done. Listen in this week to find out 5 tips for managing analysis paralysis and being overly criticial of your own work. Find out 5 tips for dealing with analysis paralysis and how you can stop yourself over analyising your business. Learn why managing your business has parallels to orchestras and how you can visualise a different outcome. Learn what happened to Suzi early in her legal career that made her realise that there is a different way to work. Understand how important it is for the evolution of your business to allow it to change. TSWS: 017 How to stand out in a crowded market. TSWS: 003 Why you need an email list and need to stop focusing on social media. TSWS: 005 Twelve solutions to manage overwhelm in your business? I am so happy you have chosen to listen to me and for becoming a supporter of my podcast. If you enjoyed today's show, please share it using the social media buttons on this page. I will send you a great big cyber kiss to express my gratitude if you would spend 2 minutes giving me an honest review and a 5 star rating for the show in iTunes. It really helps me to find out what people think and whether the podcast is helping people. I read every single one personally so it will definitely reach me. Last of all, don't forget to SUBSCRIBE FOR FREE to the podcast in iTunes or Stitcher or Spotify so you get notified on your phone each time a new episode is available. Why you need to take time away from your business. Yo, I'm Suzi. I help women (and the odd man) all over the world learn to make stunning cakes. I then help you turn your skills as a cake maker into a 6 or 7 figure business. ▶ Come this way for total awesomeness!